William Shaffir, Professor of Sociology, McMaster University, is solely responsible for the content and organization of this site. My aim is neither to defend the interests of this hassidic community nor to be critical of its politics and social organization. The information made available reflects my particular interests. I welcome comments, observations, criticisms, and the like, and will respond to any inquiries in a timely manner. LINK: References to some of my published work on hassidic Jews. 1974. Life In A Religious Community: The Lubavitcher Chassidim In Montreal. Toronto: Holt, Rinehart and Winston of Canada. 1978. 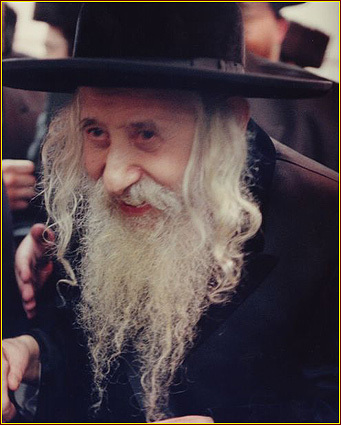 “Becoming an Orthodox Jew: The Socialization of Newcomers in a Chassidic Community.” Pp. 295-309 in L. Dreidger (ed.) The Canadian Ethnic Mosaic: A Quest for Identity. Toronto: McClelland and Stewart. 1978. “Witnessing as Identity Consolidation: The Case of Lubavitcher Chassidim.” Pp.39-57 in H. Mol (ed.) Identity and Religion. Beverly Hills, CA: Sage. 1983. “Hassidic Jews and Quebec Politics.” The Jewish Journal of Sociology 25 (2): 105-118. 1987. (and C. Redekop) “Communal Organization and Secular Education: Hutterite and Hassidic Comparisons.” Pp. 342-357 in Y. Gorni, Y. Oved, and I. Paz (eds.) Communal Life: An Interactionist Perspective. New Jersey: Transaction Books. 1987. “Separated From the Mainstream: The Hassidic Community of Tash.” The Jewish Journal of Sociology 29 (1): 19-35. 1991. “Managing a Convincing Self-Presentation: Some Personal Reflections on Entering the Field.” Pp. 72-81 in W.Shaffir and R. Stebbins (eds.) Experiencing Fieldwork: An Inside View of Qualitative Research. Newbury Park, CA: Sage Publications. 1995. “Boundaries and Self-Presentation among Hasidim: A Study in Identity Maintenance.” Pp. 31-68 in J. Belcove-Shalin (ed.) New World Hasidim: Ethnographic Studies Of Hasidic Jews in America. New York: SUNY Press. 1995. “When Prophecy Is Not Validated: Explaining the Unexpected in a Messianic Campaign.” The Jewish Journal of Sociology 37 (2): 119-136. 1998. “Doing Ethnographic Research in Jewish Orthodox Communities: The Neglected Role of Sociability.” Pp. 48-64 in S. Grills (ed.) Doing Ethnographic Research: Fieldwork Settings. Thousand Oaks, CA: Sage. 1998. “Still Separated From the Mainstream: A Hassidic Community Revisited.” The Jewish Journal of Sociology 39 (1&2): 46-62. 1999. “Doing Ethnography: Reflections on Finding Your Way.” Journal of Contemporary Ethnography 28 (6): 676-686. 2000. “Hassidim and the Rebbe: Some Initial Observations.” The Jewish Journal of Sociology 42 (1&2): 73-85. 2004. “Secular Studies In A Hassidic Enclave: ‘What Do We Need It For?’ The Jewish Journal of Sociology 46 (1&2): 59-77. 2006. “The Renaissance of Hassidism.’ The Jewish Journal of Sociology 48 (1&2): 69-74. 2007. “Hassidim Confronting Modernity.’ The Jewish Journal of Sociology 49: 5-35. Link: Shomrim is a volunteer organization in Tash that operates in concert with the local police. This site is updated regularly.